Question for the Tarot: What does the heart want for Full Moon? 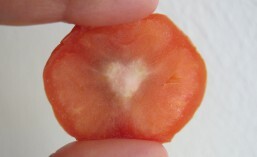 Summary: The heart wants to breakthrough to receiving a higher and more intense level of energy. To do this, it needs to clarify what is in alignment with its intentions and earnestly vanquish that which no longer stands true. As this effort moves forward, it will lead to the door of heaven: a fertile state of being which draws toward itself that which it wishes to cultivate. 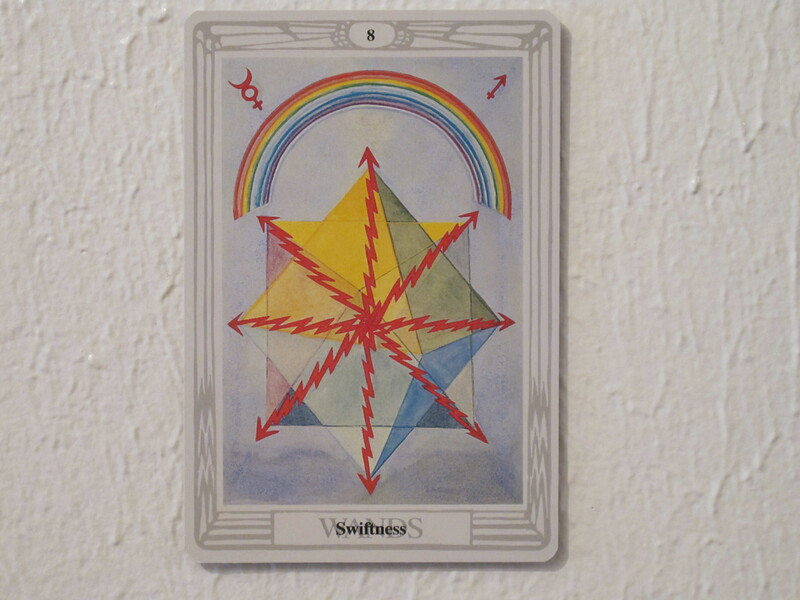 The 8 of Wands shows red lightning bolts dispersing over a pyramidal structure, carrying energy from the apex to the corners. This creative energy moves swiftly to raise the level of inspiration — it seeks a bigger dream. A rainbow overhead depicts unity of the colors in the light spectrum. The dream being sought serves the Self and the bigger picture as well. 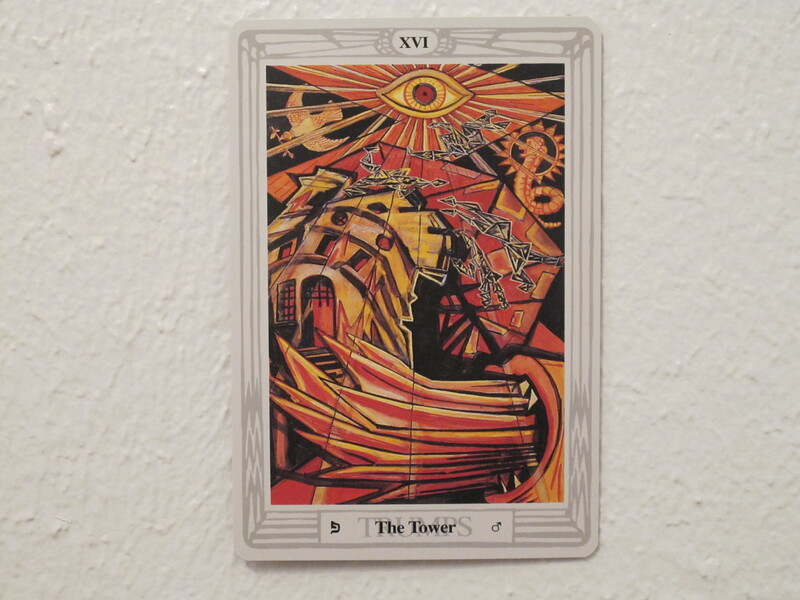 The XVI Trumps (Tower) shows a celestial eye shining down on a tower bending over and expelling fossilized figures into a fire-breathing mouth. The simple red of the lightning bolts in the 8 of Wands has expanded to fill this whole image. The discomfort with and fury towards anything that does not stand true must be offered to the flames of purification. In seeing the mouth as the source of the flames, we are reminded that the mouth is both an end to that which is devoured and a beginning of nourishment for that which receives the offering. In improving old systems and beliefs, we thank them for the part of the journey they have revealed, and put them to rest in the flames where the energy behind them becomes free to nourish the next phase of the journey. What can’t you stand anymore? What gets in the way of a bigger dream? What ritual, perhaps with fire, can be done to consecrate removing that? 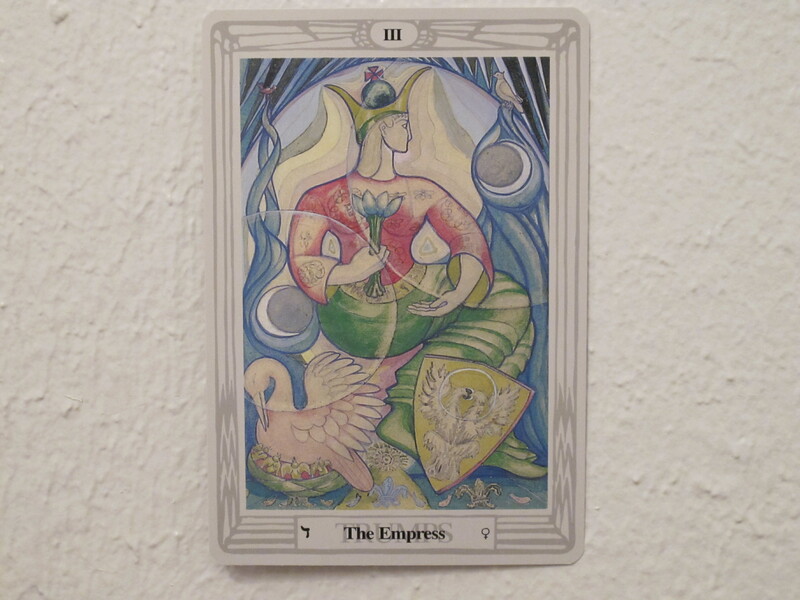 The III Trumps (Empress) shows a feminine sovereign figure seated on a throne flanked by twisted grasses, various birds, and the waxing and waning moon on each side. The colors are all soothing pastels and the lines are flowing. The feminine figure is pregnant, and also holding her arms in positions that depict the alchemical substance salt which is inert and passive. As this image is meant to preview the result of the work done to honor what the heart wants in the previous cards, the result can be said to be an evolved and fertile state of being, in touch with beauty and bliss, but not making effort towards it so much as emanating it and attracting more of the same. The progression of this spread mirrors nature precisely. After a cultivated field has been harvested, it can be burnt to improve the level of fertility it offers to the next crop. The burning requires perseverance and action, but the resulting fertility is born of its own. After much energy has been spent around certain initiatives and lessons, the form and focus of that energy can be dissolved in anticipation of an even more evolved and fertile state of being. Having prepared the fertile field, the passivity of the Empress will conserve one’s energy to draw towards oneself the next most suitable new endeavor. Noteworthy is that “the answer” to what the heart wants for Full Moon does not lie in “finding the answer.” Rather, the heart envisions an experience greater than it has known and in choosing these cards, says that it wants to fearlessly undertake the necessary work and become fertile ground for new seed. This entry was posted in astrology, charlottesville, entertainment, full moon, ritual, spirituality, tarot, workshops and tagged Thoth Tarot. Bookmark the permalink.